+ iPhone 5 & iOS 6 support: say it with ‘virtual’ flowers from your brand new iPhone! Flowerly is a gorgeous universal app (iPhone AND iPad) that will let you send virtual flowers to anyone you care about in seconds! 4. Send it and smile! You have two ways to send flowers : via email or via Facebook. The facebook integration lets you retrieve your friends’ birthdays, so we make it super easy to send them flowers through their facebook wall in 2 taps. Isn’t that cool? 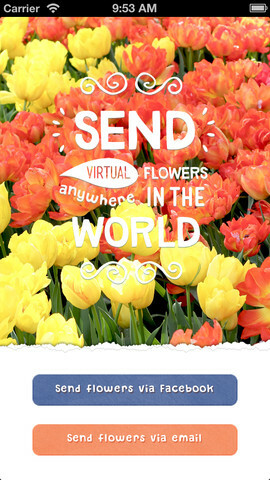 Flowerly : say it with ‘virtual’ flowers!